New York, NY- 2018 marks the 25th anniversary of the iconic compilation series Reggae Gold. Now available for pre-orders and out July 27th everywhere, this milestone will be celebrated with a throwback mixtape by the legendary RoryStoneLove, featuring classic reggae jams from the likes of Maxi Priest, Capleton, Buju Banton, Beres Hammond and more from Reggae Gold albums in the 90’s. 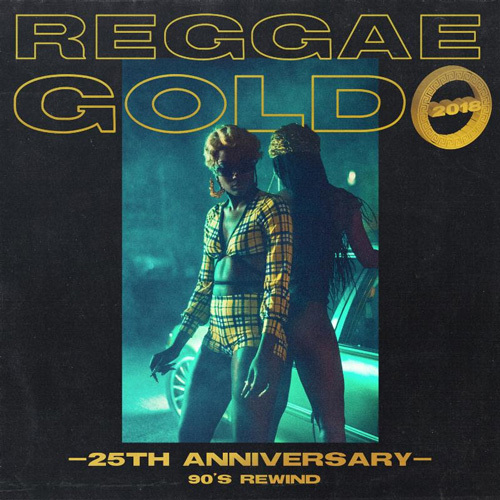 1993 marked the first year in the series and it has since solidified its place of importance in the culture, being the premier compilation album for the latest and best in reggae and dancehall each year. Reggae Gold 2018’s exclusive lead track and instant-grat is “Easy to Love You Remix” by VP Records newly signed artist Culan featuring Konshens. The UK born dancehall artist Culan was discovered off the pace of his hit “Easy to Love You”, originally featured on last year’s Strictly the Best Vol 57. Released on June 1st, “Easy to Love You Remix” has all the right ingredients to become a notable Summer 2018 jam. Other exclusive include “Better”, a new smooth rhythmic single by singer Estelle, following her 2017 Reggae Gold debut with “Love Like Ours” featuring Tarrus Riley and Jahmiel's flirty single "U". There is no shortage of crowd pleasers and popular hits from the past year on “Reggae Gold 2018”. Hood Celebrity’s massive hit “Walking Trophy” has established itself as a 2018 ladies anthem. Amindi K. Fro$t, Tessellated, Valleyz’s “Pine and Ginger” has also made waves on urban radio with its tropical and laidback vibe. 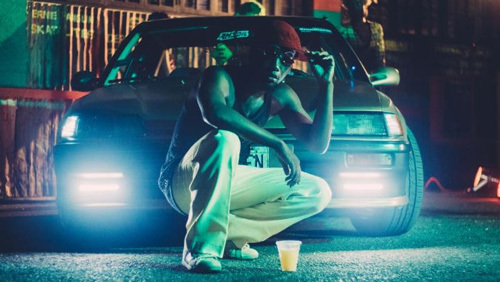 Ding Dong’s popular "Dweet (Genna Bounce)” has the energy that fans of his expect and anticipate. This year’s compilation also includes hits “Raggamuffin” by Koffee, “Stay So” by Busy Signal, “Ghetto Paradise” by Chronixx and much more. Shot at the House of Dancehall in Jamaica, models Abonique Coley, Rayana Campbell, Shacqueal Witter, Kimiko Miller, Maleik Lamont and Hakeem Notice posed in an array of 90s fashions styled and photographed by Savanna Baker and contributing photographer Keanu Gordon. “Being this was the 25th anniversary, the concept was to embrace the aesthetics of the 90s which led to shooting a group of dancers candidly, pulling inspiration from the first years of the Reggae Gold brand,” said creative director for VP Records Stephanie Chin. “Savannah Baker was the ideal photographer to portray the dynamic unfiltered energy of the 1990’s while Director Rogen ‘Ruption’ Walker (RD Studios) was able to capture the rawness of the era,” she concluded. "Having experienced a part of the 90's made this project more special to me. Being able to capture something from my childhood memory and bringing it to present day was amazing! Bless up VP records,” Ruption stated. The album's photo shoot will be used to anchor a limited-edition print and online zine curated by Richard "Treats" Dryden. The piece will include unique features and interviews with reggae artists and cultural influencers across the reggae scene.